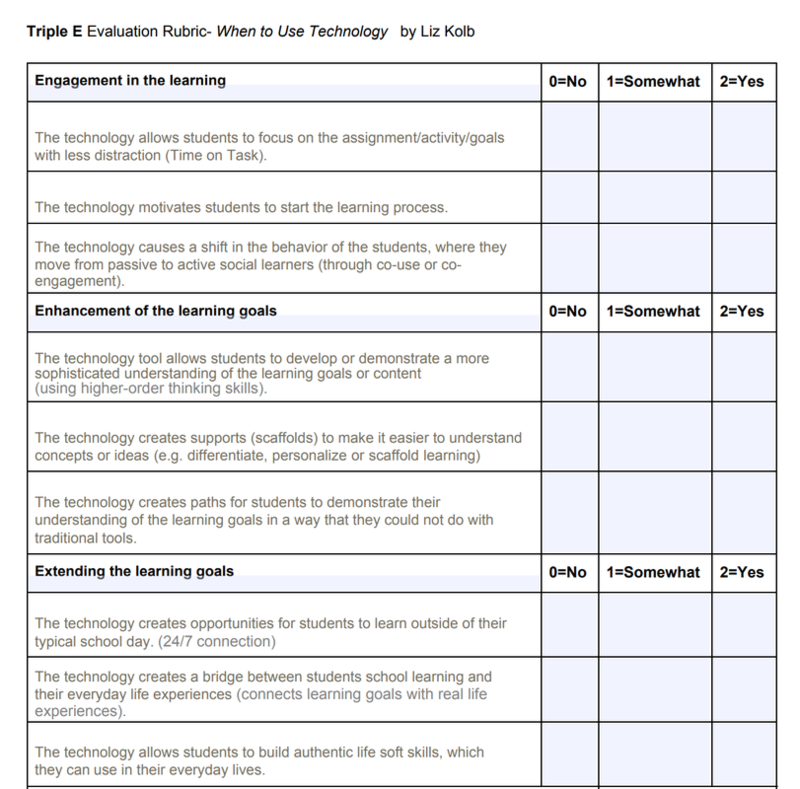 This printable rubric is for teachers, administrators, field instructors and other educators who are evaluating the connection between the technology in a lesson plan and the learning goals of the lesson plan. This PDF includes details on reading the results and instructional moves to foster authentic learning through technology tools. Click on the image below to download the printable PDF. Karen McKinley an ELA curriculum specialist from Warren County Educational Service Center in Lebanon, Ohio shared this user friendly rubric that she designed based on the Triple E Framework. She gave permission for other educators to use and share the chart with teachers in their districts. Thank you Karen!